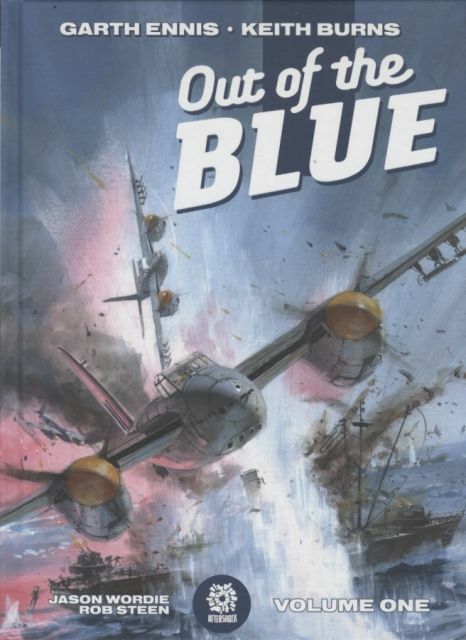 A WAR IS A DIFFICULT THING TO KILL The Second World War is almost over, but no one seems to have told the Germans - as Royal Air Force pilot Jamie McKenzie finds out when he's assigned to deadly shipping strikes along the enemy coast. Flying the Mosquito fighter-bomber against heavily armed targets is dangerous enough at the best of times, but after incurring the wrath of his vengeful commanding officer, Jamie is assigned the most unpopular navigator in the unit - not to mention the least reliable aircraft. Worse still, the commander's sights are firmly set on Jamie's beautiful young wife, Beth. Writer Garth Ennis (A WALK THROUGH HELL, Preacher, The Boys) and artist Keith Burns (War Stories) reunite after the success of their series Johnny Red, presenting another tale of World War Two aerial combat: featuring skies black with flak and enemy fighters, nail-biting low-level action, and the dark humor of men whose lives can be snatched away at any second... OUT OF THE BLUE.